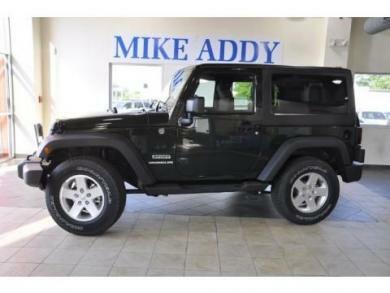 Brand new 2012 Jeep Wrangler Unlimited Sport "S" 17" Rims and Goodyear Wrangler tires. Driven from dealer straight to the shop where aftermarkets rims and tires were put on the vehicle. Rims had TPMS removed so you must use your originals. 5x5 pattern fits '07 and newer Jeeps. Photo is a sample of the rims and tires.